A staple of South East Asian food culture, the humble noodle is one of the most versatile “fast foods” there is! With the simple addition of a vegetable based soup or stir fry they are also one of the most nutritious. King Soba noodles are made from whole grains which are carefully sourced and certified according to organic standards and processed in a dedicated wheat-free factory. These organic Thai Rice Noodles are suitable for vegetarians and vegans, contain no GMO’s, artificial colourings, flavourings or preservatives. They are typical, creamy white easy cook noodles which lend themselves to the preparation of many hot and cold oriental dishes. The King Soba Thai Rice Noodles - 250g product ethics are indicated below. To learn more about these product ethics and to see related products, follow the links below. Basic ingredient to a quick meal and helpful when you are avoiding gluten. 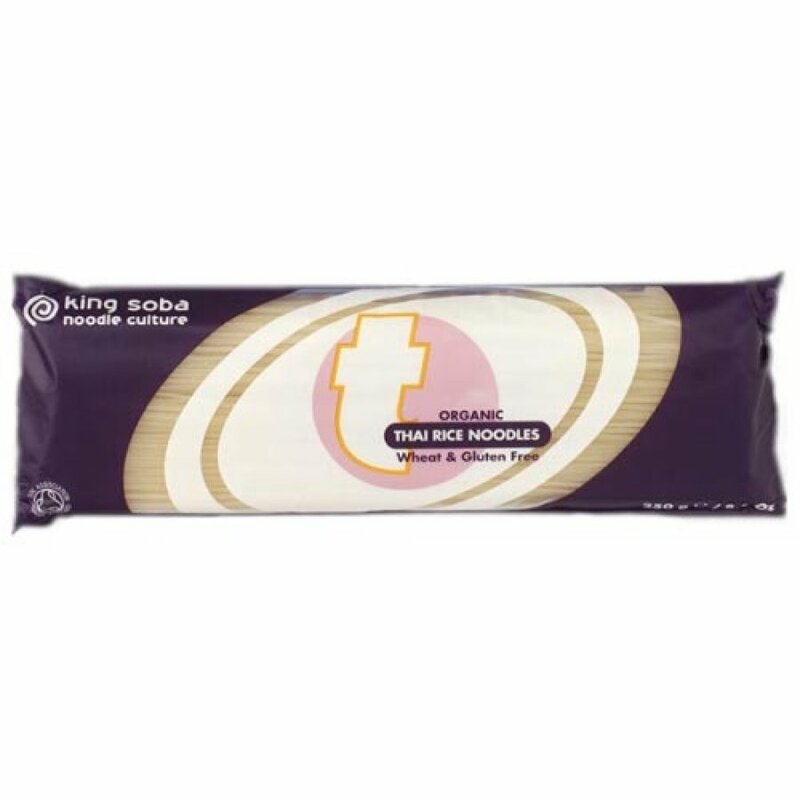 There are currently no questions to display about King Soba Thai Rice Noodles - 250g. King Soba is run to some core values; to produce authentic, quality foods made from whole grains, to use organic ingredients, and encourage healthy eating. All of its products are suitable for vegetarians and vegans and contain no GMO’s, artificial colourings, flavourings, or preservatives.